Scott G. Wolfe and 3200 St. Claude LLC filed suit against Worood Hamed, Ameer Hamed, Rouzan Hussein, Zuhair Hamed and Jawad R. Shakir in the Orleans Parish Civil District Court on March 3. According to the suit, Wolfe leased Bywater Grocery to Hussein and Ameer Hamed in January 2011. 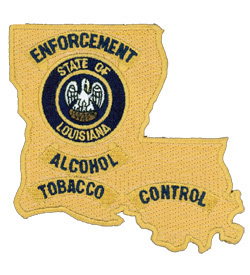 Wolfe claims his names were on the original Alcohol and Tobacco Control (ATC) permits for Bywater Grocery, but he instructed the defendants to change the name when they took over the store. Wolfe alleges the defendants claimed to have changed the name on the documents. However, in January 2014, Wolfe alleges he learned of many citations for ATC violations and discovered his name was on the 2012 and 2013 Retail Renewal Applications, with his signature allegedly forged. The suit claims the documents were notarized by Shakir, who had been told by Ameer that Wolfe had signed the documents. The suit argues this led to the loss of Bywater Grocery’s permits and forced the plaintiffs to terminate the lease and look for a new tenant. The plaintiffs are represented by Seth J. Smiley of Wolfe Law Group LLC of New Orleans. The defendants answered the suit on March 27, claiming improper venue, vagueness, want of amicable demand, prescription, no right of action and no cause of action. Represented by Robert E. Jones IV of Jones & Williams LLC of New Orleans. Case is assigned to Division D Judge Lloyd J. Medley.